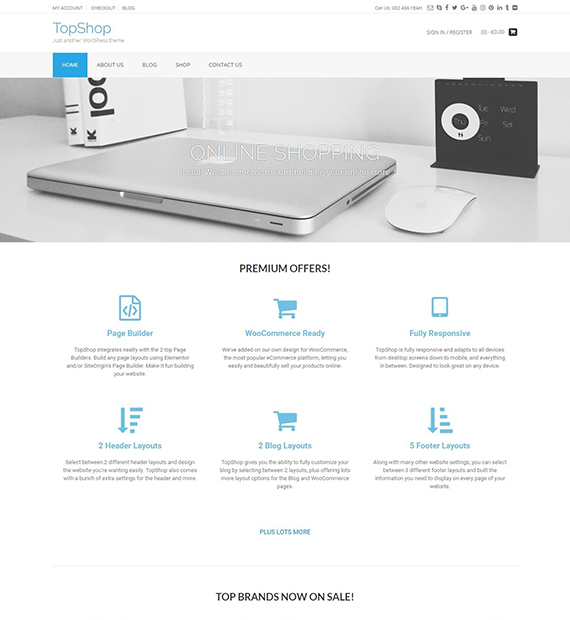 A WooCommerce-ready Theme, TopShop provides a fully customizable and responsive theme with a very clean and sleek design. The Theme is built for both Beginners as well as Coding Veterans, allowing a high level of live customization with minimum to zero amount of coding proficiency required. With a highly responsive Customer Service and User support ready for helping out any user in need, TopShop makes itself a top choice for many Premium as well as Free users. Easily add elements and stylize the footer of your website from the multiple footer style options that the theme comes with. Stylize your WordPress website for your users with the multiple header style options of the theme that you can easily customize and edit.